Pellegrini Vineyards and Bedell Cellars, international-medal winners, are among more than 40 acclaimed wineries on Long Island&apos;s coastal North Fork trail. 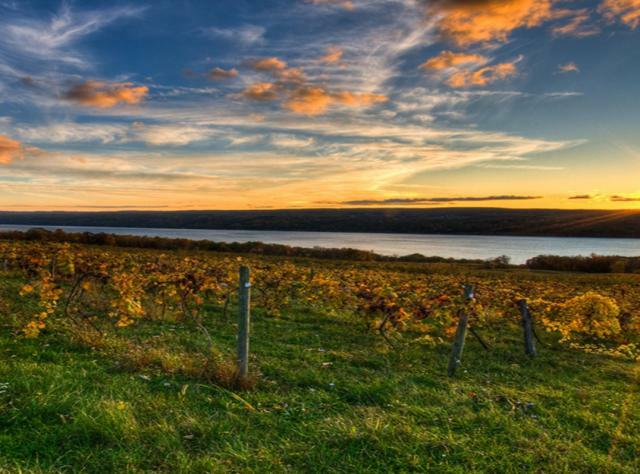 The Finger Lakes are known for their Rieslings and special events are hosted every season. In Canandaigua, New York Kitchen highlights New York’s wines, breweries, and farms with delicious events and tastings. Cold winter temperatures along the Niagara Escarpment produce world-famous ice wines, made from grapes frozen on the vine. Try them in cozy tasting rooms along the Niagara Wine Trail near the Falls, or trek the Taste 1000 Islands trail and Adirondack Coast Wine Trail for breathtaking scenery along with fine ciders and beers. The Hudson Valley is home to more than 30 wineries including the nation’s oldest winery, Brotherhood Winery, that produces a variety of highly acclaimed beverages from full-bodied Cabernet to crisp Riesling. Sip the finest wines in the Empire State!